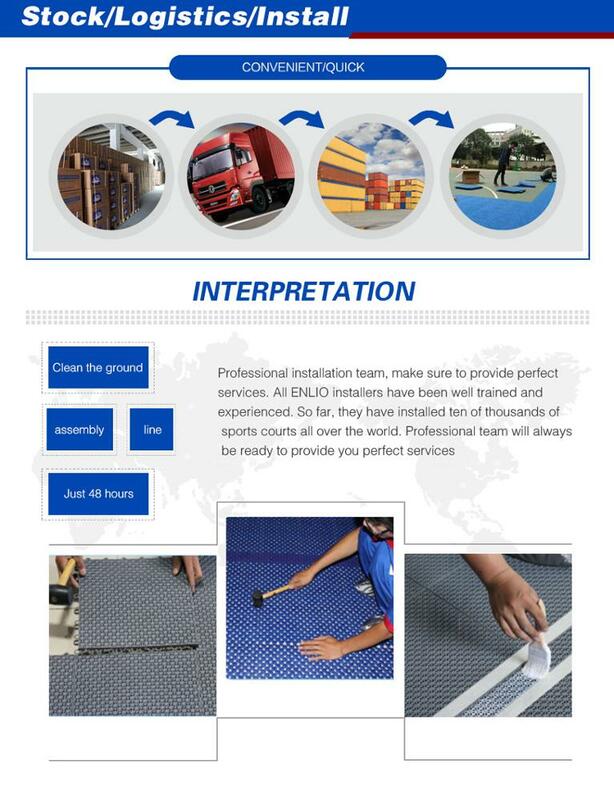 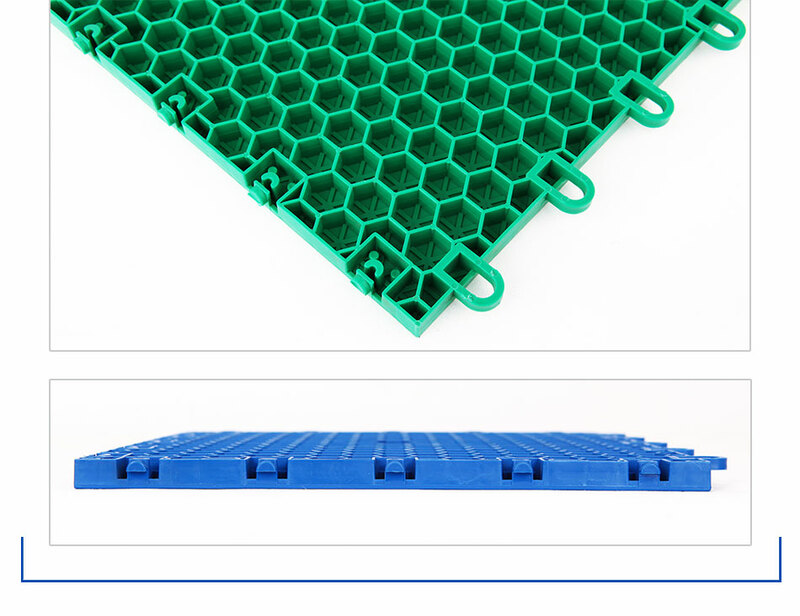 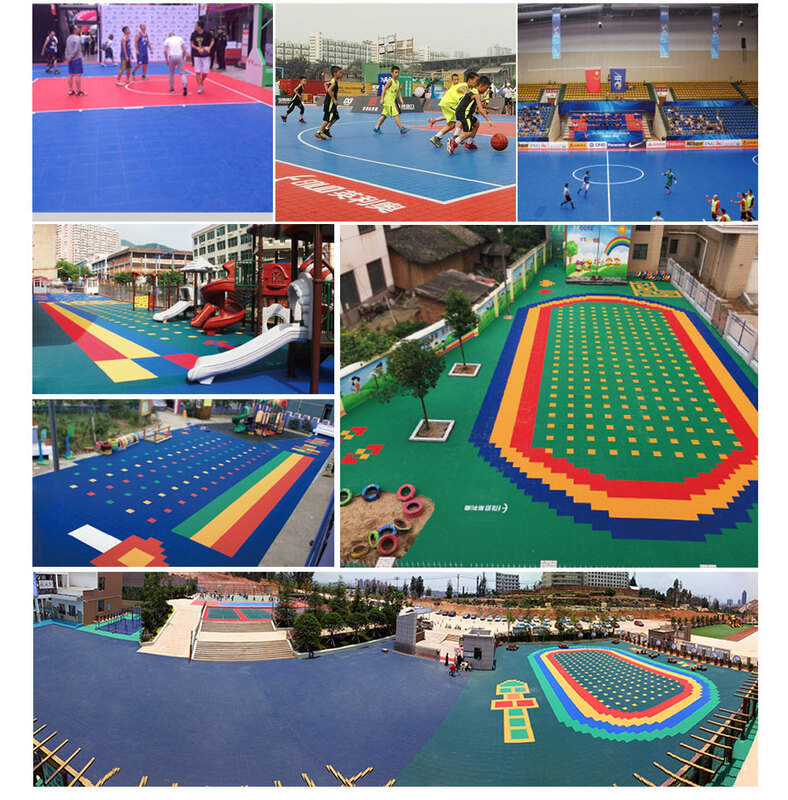 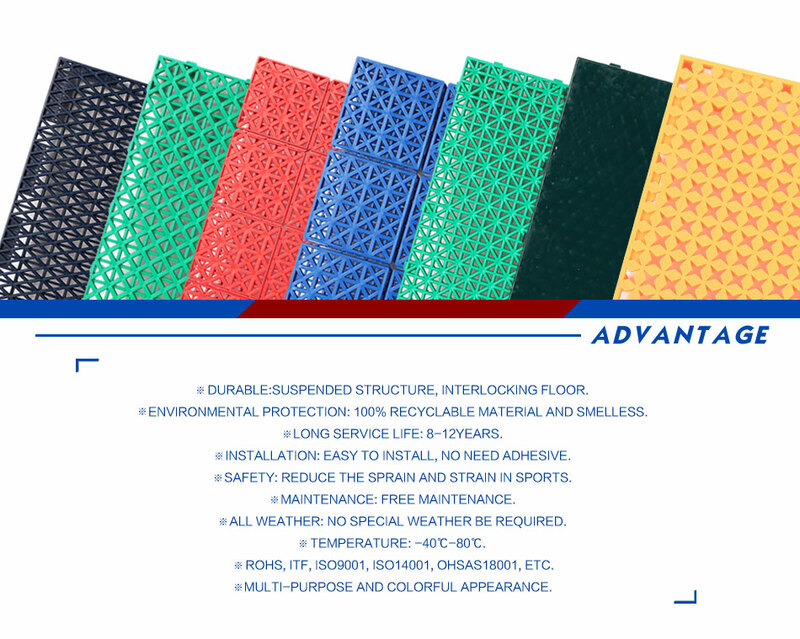 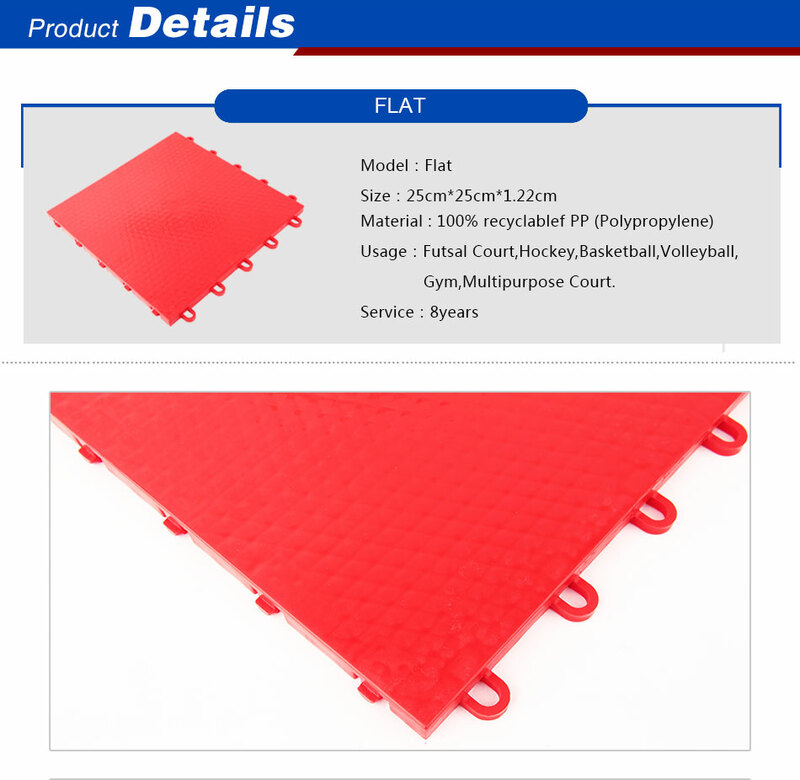 PP interlocking flat surface is ideal for indoor futsal court. 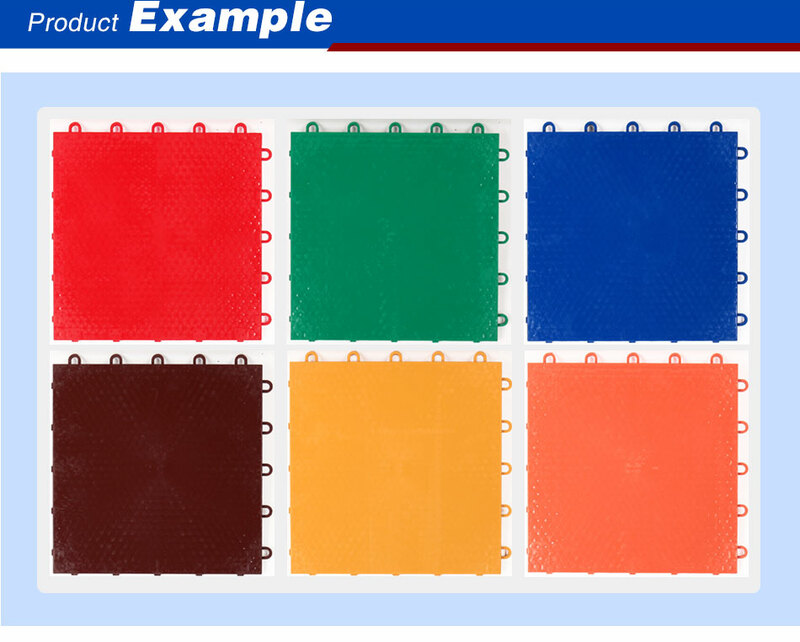 The size is 25cm*25cm*1.22cm, avaible in 12 colors. 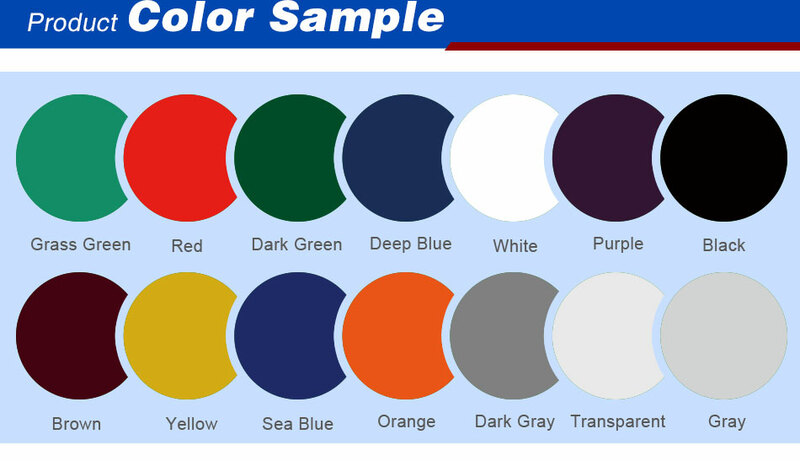 2016 AFC Club Championships, and the quality is accredited by many coaches and players.